Back in September, I started off the school year on the wrong foot. Actually, to push the tired foot analogy a little further, I was dragging my feet, tripping over shoelaces and falling down. Probably in a puddle. Of mud. For simplicity’s sake, I had a difficult August, and when September hit, I suffered from severe insomnia and completely lacked an appetite. 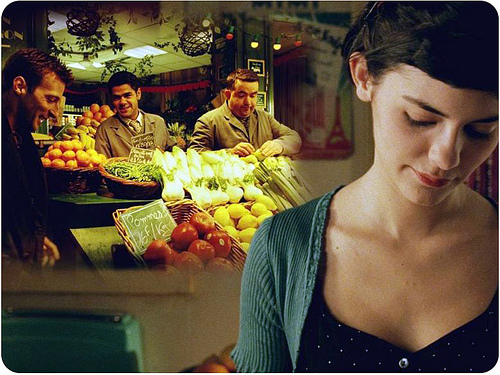 Some days, I seriously felt like Amelie in this particular scene (I know, boo hoo, c’est la vie!). The worst moment at school this year came when I entered a class sharply at 2 pm and realized, the class began at 1 pm. The night before was a sob story not in need of retelling and I had dragged myself to an afternoon class without any sleep. Unbeknownst to me, when I burst through the closed door announcing my late arrival, I had interrupted my professor who was calmly ending what sounded like a very important, non-sob story. My heart sank. As I made my way to an empty seat, I could see from the corner of my eyes, other people looking at me from the corners of their eyes. Two minutes later, our class was dismissed for a break. The co-professor teaching the course walked up to me. Although it may sound unremarkable, that is probably the kindest thing a professor has ever said to me. Me as in Erin the human, not me as in Erin the student. How often have you seen a professor ask latecomers if they are actually okay? In fact, I’ve had the unfortunate experience of seeing professors stop mid-sentence and, with a look of repulsion, refuse to speak until a latecomer squeezes his or her way to the one empty seat in the most remote location of classroom to sheepishly sit down. I think such reactions are more appropriate for someone who decides to dance on top of a coffin at a televised eulogy for a statesman but I find it presumptuous to make someone feel uncomfortable or bad for wanting to attend a lecture, even if they weren’t able to make it on time. And who knows what prevented them from being there? We all have imaginations. But for some reason, we want to imagine the worst. This is not an argument or excuse for tardiness. Nothing is worse than the same students rolling in class after class, late. Punctuality is important. Yet I can’t help but feel disenchanted when I see in the Arts and Humanities, a lack of humanity in the classroom or at least, the absence of compassion and empathy, not only between students and professors but also between students and other students. I am grateful for the one professor who asked me if I was simply okay. Because even though I pretended I was, I wasn’t. I think the fact that she chose to recognize me as person with feelings, instead of just count me as an extra head in attendance, made a big difference. 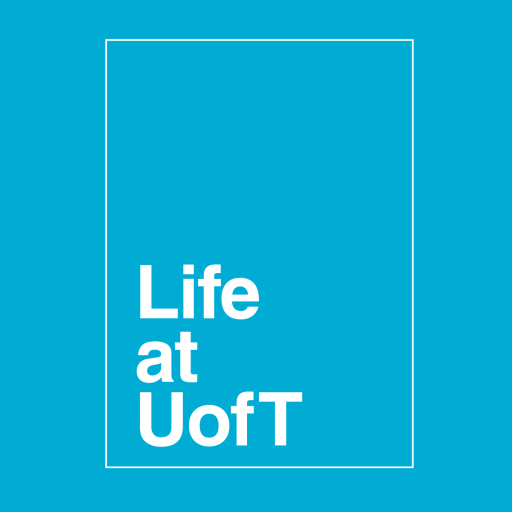 U of T students often complain about feeling like a number and I can completely understand this complaint of being just another face in the crowd. I literally felt like a zero (nothing) in one class this year when the professor asked students to write their names beside numbers. We were told that in order to help her remember who we were, to introduce ourselves by saying, “Erin, number 31” before we made a comment. As students, let’s reject these impersonal models of knowing one another. I dare you to ask, “how are you?” to the person you sit beside next semester. You never know what he or she might actually say. Now that 2011 is coming to an end, I’m looking forward to starting the new year off on the right foot and hitting the ground running. Most likely in a pair of red shoes. My growing collection of red shoes: boots, platforms, heels, clogs, ballet flats, handmade moccasins from all around the world! Yes, I love red shoes! New Years resolution: no more red shoes! I also wonder if you feel like you were able to get to know me a little more. My hope for 2012 is that I get to know you, anonymous reader in the blogosphere, a little more, too. So please, introduce yourself, comment or just say hi. Because I really do wonder how you are feeling today. reading this…i am reminded of how weird the atmosphere at school can be sometimes. i know how you feel but school seems to be this sort of traffic filled place where simple acknowledgement and empathy are forgotten about from one person to another. Aside from a psychology prof I had during my first year, most profs seem like they just want to finish the lecture and move on to the next one, and unless you visit their office hours for some one on one talks-compassion from a prof towards a student can be rare. Though, it would be weird to introduce oneself on this blog. Thank you both for commenting! 🙂 It’s really nice to get feedback from readers and create a sense of community and a little dialogue, even if it is only online…You both show that even a blog comment has the power to make someone’s day. Thank you! Hi Erin, wonderful post! We just had a professor make a beautiful speech at the end of her class reminding us that our program isn’t about books or systems or anything like that, but it’s about people and reminding us to look after each other and take care of one another and be kind. I was so choked up afterwards, it was really inspiring from an inspiring professor. I’m so glad that prof. reached out to you in the way that she did. It shows how much good a simple kindness can do. Hi Darrell, Thank you so much for the reflective comment! That sounds like such a memorable way to end a class. I remember a really exceptional young professor I had received applause at the end of her last lecture. It was very natural, the small class of about 40 students just wanted to show their appreciation. What I remember most is that she didn’t know how to react because she wasn’t expecting any recognition, or even gratitude. She just awkwardly smiled and blushed. It goes to show how powerful the words “how are you?” or “thank you” can be. Erin, this article is intensely beautiful. I love every post that you write but this one is my favourite. When I was talking about honesty, this is exactly what I meant. Thank you for letting us, in some small way, inside of your world. Thank you for the friendly reminder that as a student you are more than just a number. You described nailed every detail so well that my mind was transported back to those cold, gray lecture halls *shudders*In all due honesty I so do not miss school. Not at all. Please don’t ever change, red shoes & all! This is just so inspiring! I am in my first year at U of T and frankly, I find the place to be a bit scary. Reading your post and having an amazing psych prof in my first semester here really changes my perspective. So, thank you! P.S.- your red shoes collection is fabulous! I’m glad this post spoke to you! I’m also happy to report that, so far, I have not broken my red shoe New Years resolution. Thank you for writing this! I’m so glad that a professor actually did what you said she did, it is really good to know that things like this do happen–however infrequently–because sometimes it really does feel like a very impersonal environment. I’ve definitely felt like you’ve described yourself as feeling, so thank you for sharing this story. Also, you like Amelie! That is so great to hear because I feel like not many people have seen it because I never hear anyone talk about it! i’m Sasha. i’m feeling pretty solid today haha, thanks for asking. it really does make a difference doesn’t it. Thanks for commenting, Matthew and Sasha. I’m pretty good this semester. Thanks for asking! Yes, I adore Amelie and I especially love Yann Tiersen, who composed the film score. I recommend you purchase the Amelie soundtrack. It’s just as colourful, romantic and vivid as the film. imagine a university class like an amphitheatre in classical hellas where stage plays were enacted for the joy of the participant (actually this is true). today professors are the same like hypatia in alexandria where she attracted students having only in mind to learn. that’s a professor’s elation to see his/her class full with expectant faces regardless of meaningless shortcomings like arriving late. Great post! I definitely feel the lack of empathy and compassion, not just in our classrooms but our western society in general. – why not have a day where everyone has to genuinely smile at almost every single person they see as they walk about their day. Imagine walking down St. George and everyone walking past you, smiling, acknowledging that you are a fellow student, a fellow human being, even though they don’t know who you are. Something so simple…doesn’t cost a thing! But could make such a huge difference to everyone’s life. I’m not sure why it took me so long to read this, but I’m glad I finally did. This is so incredibly true. In fact, I seldom go to classes late (no matter how legitimate a reason I may have) because I’m always in fear of being judged as rude or a “slacker.” So instead, and sad as it is, in lieu of feeling embarrassed or like the horrible person some people make you out to be, I just don’t go at all. And to be quite honest, if one day, when I just so happened to be late, someone asked me if I was okay, I think, nay, I know that it would make all the difference. So here’s to human conversation, the most underrated act of 2011. Alexander – You have a very optimistic view of professors that I wish would rub off on me more. I suppose I’m guilty of thinking that there are a few professors who only teach undergraduates for the paycheque, not the joy of teaching. Thank you for the positive reminder. Shah – Too bad every day wasn’t National Smiling Day, right? If you manage to start that day, please make it during the winter months! Chad – It’s funny, a memory I have of you is coming to UpbeaT meetings with a giant smile on your face. Even at 9 a.m. on a Monday morning?! You’re seriously a role model for National Smile Day!